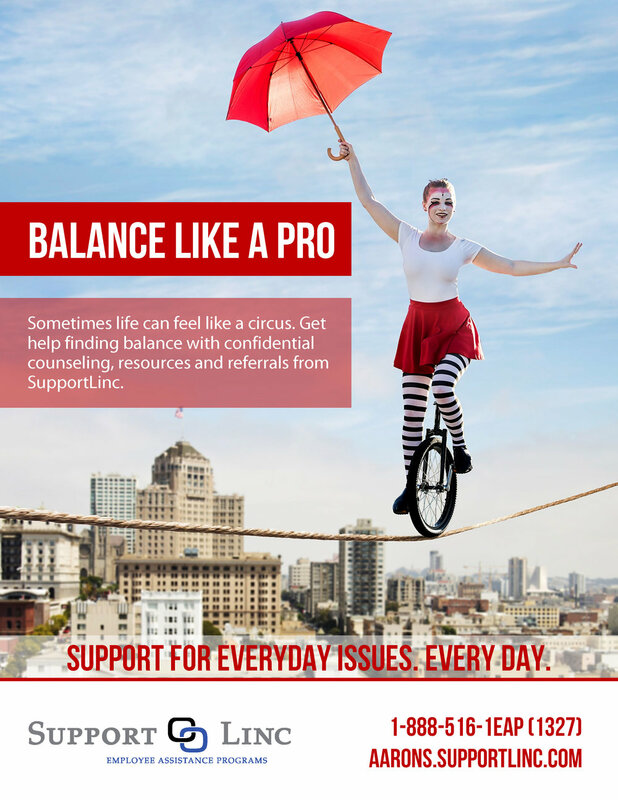 Worksite posters for the SupportLinc program should be displayed in common areas throughout the workplace and rotated on a quarterly basis. SupportLinc worksite posters focus on an emotional or behavioral health theme, such as stress, relationships or anxiety. For more information regarding promotional material for the SupportLinc EAP, contact the Aaron’s Benefit Team at benefits@aarons.com.